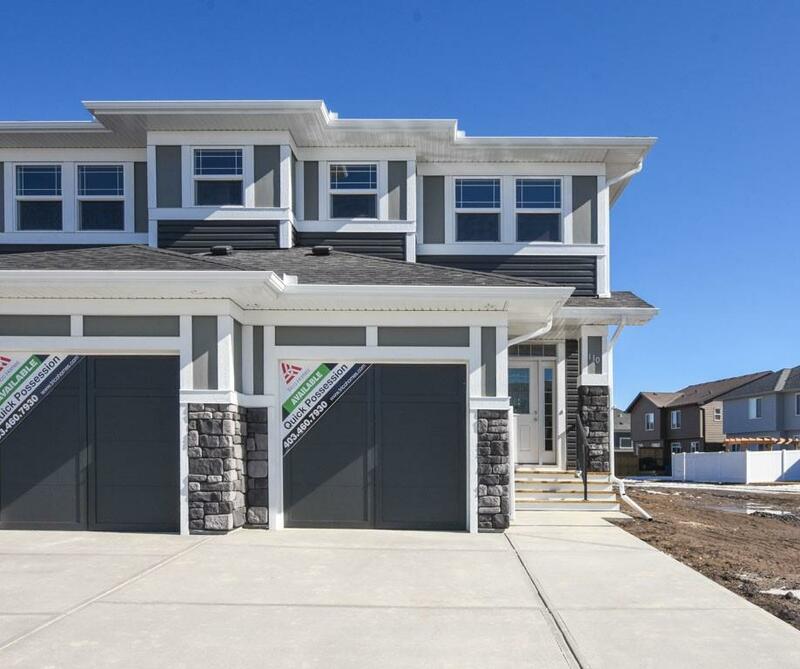 DESCRIPTION Beautiful new attached 2 storey home in the community of Legacy built by Trico Homes Inc. This home features a main floor with 9ft ceilings, laminate flooring throughout, kitchen with stainless steel appliance package, quartz countertops, corner pantry and island with flush eating bar. Open concept with the dining room and living room with access to a rear deck. The upper level features the master bedroom with walk-in closet and 3pc ensuite. Two other good sized bedrooms, full bathroom, loft/bonus area and upper floor laundry. The basement is unfinished with roughed-in plumbing awaiting your personal touches. Single front attached garage and comes with Alberta New Home Warranty. Make your private showing today. Builder size is 1,295sqft.